As the public outcry continues over the existence of the Confederate Flag, prominent online retailers Amazon and eBay announced Tuesday afternoon that they would ban merchandise that depicted the flag. Amazon’s bow to online pressure came just hours after eBay made their statement. 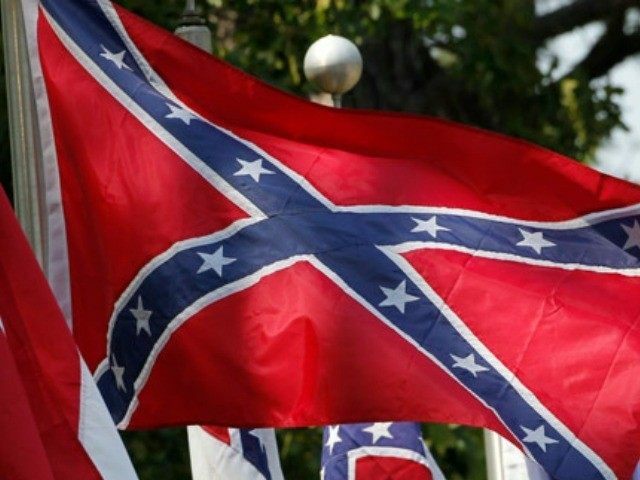 Wal-Mart and Sears announced their intentions to ban Confederate branded merchandise yesterday. CNN’s MJ Lee, who started questioning online retailers about the flag, announced on Twitter that Amazon had decided to pull the merchandise after multiple requests for comment about the issue. About 20 hours earlier, Lee posted the first article reporting that Wal-Mart had decided to ban Confederate flag themed merchandise, updating her story to include a list of retailers who refused to respond. Amazon was among the last companies she listed to respond to her inquiry. Sales of the flag spiked on Amazon after South Carolina political leaders called for the flag to be removed from the State Capitol. According to Amazon’s “Movers and Shakers” sales rankings this afternoon, sales of the controversial flag were up 2,305 percent in the Patio, Lawn, & Garden department.